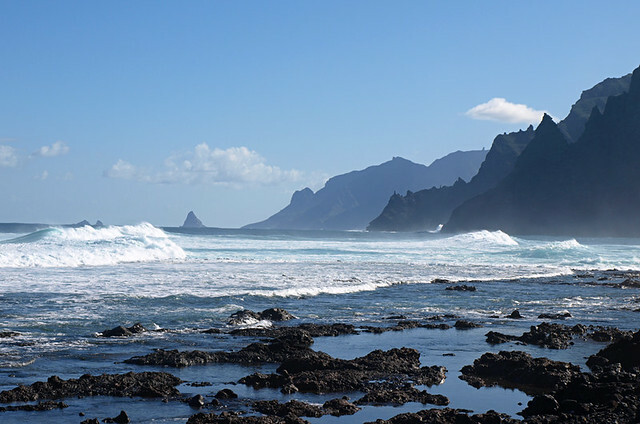 Considering the great majority of people who visit Tenerife do so to spend (hot) chill out time on its coast you’d be forgiven for thinking there might not be a lot of quiet coastline left to explore. 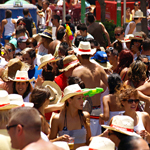 From Los Cristianos, tourist developments have continued to spread further west so that Los Cristianos, Playa de las Américas and the resorts of Costa Adeje are so joined at the hip even seasoned Tenerife visitors aren’t sure where one begins and another ends. The fishing village of La Caleta has also been consumed and then there’s only a hop, skip and a jump to Playa Paraiso and Callao Salvaje. But that still only covers a fraction of the island’s coast, which means the majority of it isn’t as well known with visitors as people might think. 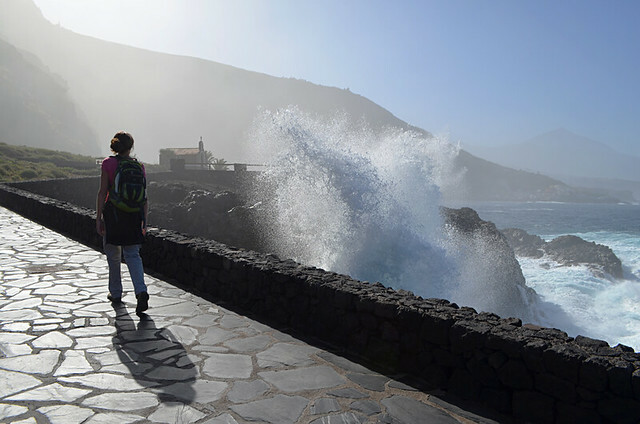 From surreal rock formations and sleepy fishing communities to wild, rugged slopes and heavenly haciendas there is as much diversity in the world next to the sea as there is in Tenerife’s schizophrenic interior. The little fishing town of Tajao has increasingly been gaining a reputation as the new Los Abrigos as more people seek fish and seafood pastures new which aren’t quite so well known. 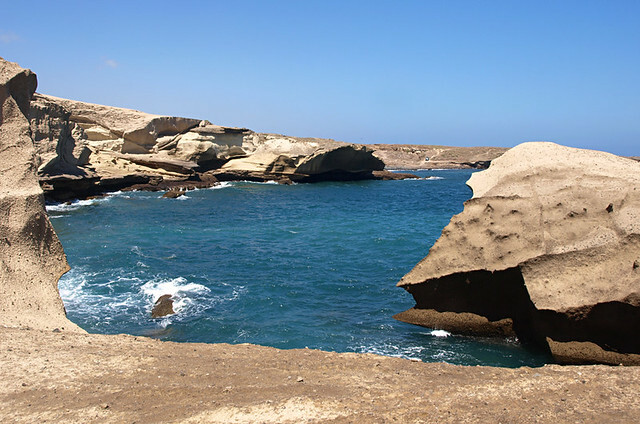 As well as being somewhere to enjoy fresh, locally caught fish in a pretty setting, the surrounding rock formations are bizarre and beautiful. The ebb and flow of the sea combined with the breeze, which is a near constant feature along the east coast, has sculpted some wonderful shapes from the soft jablé rocks. Malpaís (volcanic badlands) covers much of the stretch between el Puertito de Güímar and its neighbour El Socorro. Dark, angry pahoehoe lava spreads like a flowing skirt from the base of the rather ambitiously named Montaña Grande all the way to the sea. 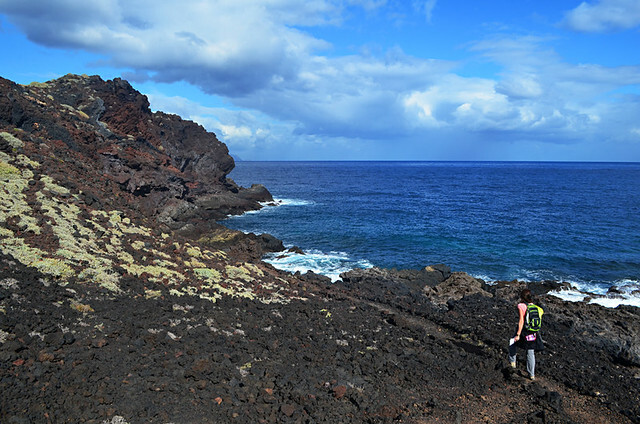 But it’s not all basaltic blocks; amidst the solidified lava are surprises – salt pans, a mini cardón forest, fishermen’s huts built into the rock, volcanic tubes and even patches of golden sand. Nestled in a calm cove, defiant against the march of luxury hotels coming from the south, lies the tiny oasis of El Puertito. It might only be a few kilometres from the biggest resort area on Tenerife but it looks and feels like it belongs on another island altogether. There’s almost a Greek vibe to El Puertito, probably thanks to the row of tamarisk behind the beach, the whitewashed buildings, and a bay where green turtles swim and the water is as calm as the Aegean. I’m talking about the cliffs which gave the resort its name rather than the resort itself. As they’re the obvious highlight of the resort they’re hardly off the beaten track. 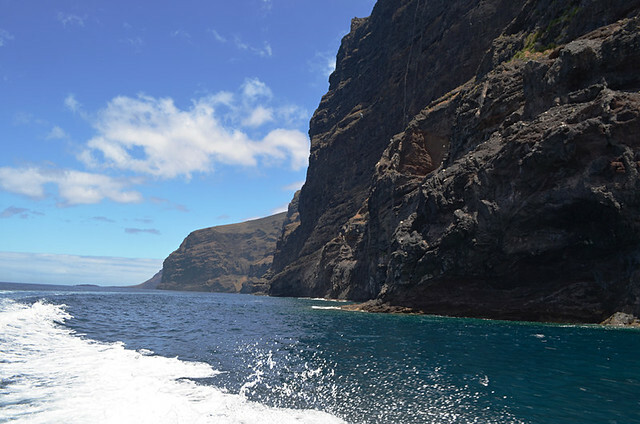 But emerging from the Masca Barranco to view them from the sea offers a very different perspective from looking at them from a bar in Los Gigantes. They seem bigger, wilder and the colour of the water where the cliffs meet the sea is luminescent in parts. 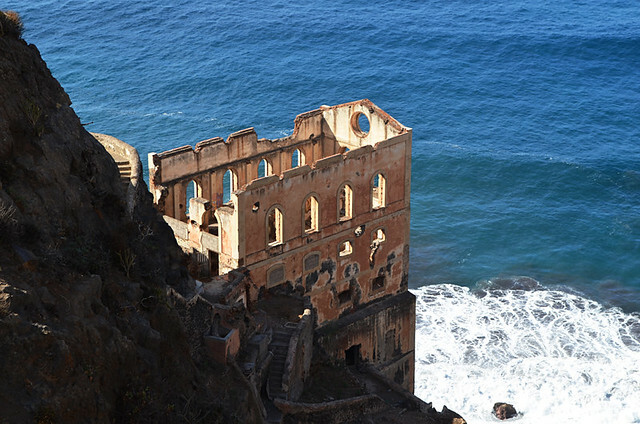 Even better is to gaze upon them from Punta de Teno (now only accessible by public transport if travelling there by road at weekends and fiesta days). 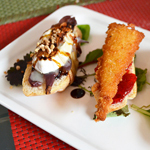 It’s called Buenavista for an excellent reason. Isla Baja remains relatively unexplored by the masses as it requires effort and time to get there, unless you’re actually staying in the Hacienda del Conde Hotel on the golf course. 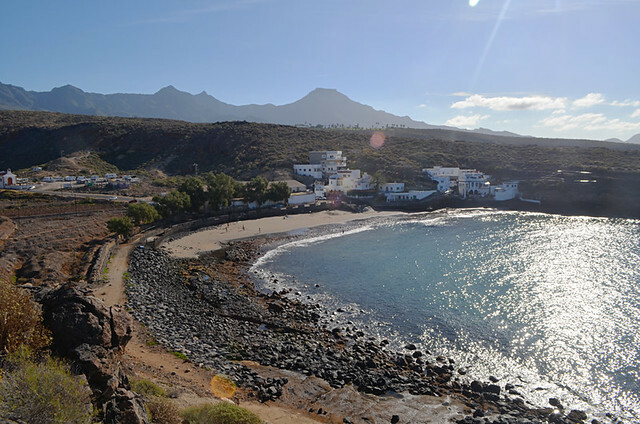 There’s a lovely coastal path which runs both west and east from the flowing fishing nets of the El Burgado restaurant. In one direction are rock pools, cool and inviting on hot days, whilst in the other is the most eye-catching man-made pool on the island as well as a hidden cove used by fishermen. 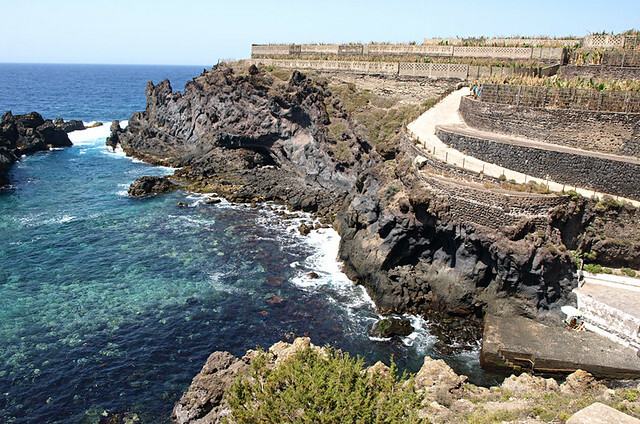 Also in Isla Baja, El Guincho was always the sort of a place where many visitors passed but few stopped. 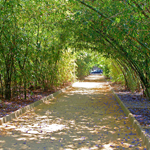 Since the opening of the El Guincho tunnel the road doesn’t even pass through the village now. 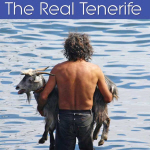 Yet it lies in one of the loveliest sections of Tenerife’s coast. The sloping land is a mix of glistening banana palms and exquisite haciendas which date back nearly as far as the conquest of the island. Find your way through the banana maze and there are coves where the water is brilliantly blue and locals lounge on sunbathing decks or perch precariously on rocks where they spend hours fishing and no doubt just enjoying their secret beauty spot. A decade or so ago when we first walked the trails around the Rambla de Castro in Los Realejos we rarely encountered many other people. Now it’s become highly popular. 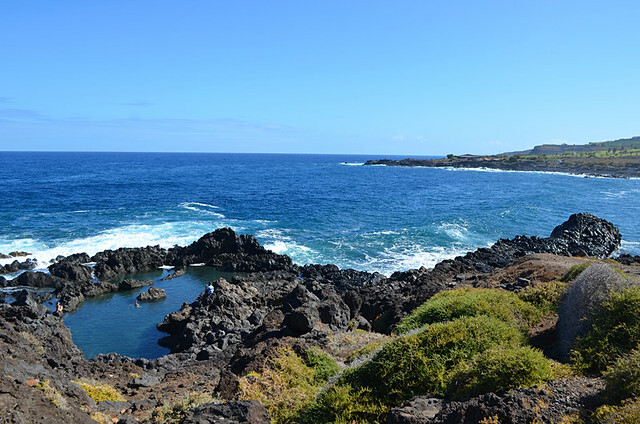 However, it’s still our favourite part of the Tenerife coast. Not only is the scenery pleasing to the eyes, it’s incredibly diverse (banana plantations, rocky coves, palm groves) and packed full of history (the Hacienda de los Castro, tiny San Fernando Fort and the Gordejuela water elevator, home to the island’s first steam engine. It’s only a shell now but it still exudes grandeur potent enough to stop you in your tracks. Much of the northern coast remains unseen by many visitors to the island for a number of reasons. Beaches there aren’t widely publicised, there are no resorts apart from Puerto de la Cruz and Bajamar/Punta del Hidalgo. Plus finding your way from the main road to the coast requires some skill as roads aren’t always signposted and ones which look as though they lead to nowhere can actually end up somewhere delightfully surprising. To reach a beaut of a coastal path below El Sauzal involves parking in what is basically a housing estate. The area around the TF5 autopista From Puerto de la Cruz to La Laguna might seem quite built up, but the coast remains crowd free. Walk east from Punta de Hidalgo in the winter months and the rocky coastline will be devoid of people. Walk the same route in summer and the rocks and pools will be rammed with Laguneros. It’s hardly tranquil, but it is a very local scene. The path is a gateway to Anaga and even if the idea of climbing from sea level to the hamlets hidden in those verdant valleys doesn’t appeal, the rewarding view along the remote north east side of Tenerife is worth yomping a handful of kilometres along a dusty path for, especially early morning when the sharp peaks are misty, mysterious and mythical. Although there are coach excursions to Anaga, narrow roads, steep ravines and dense forests restrict large buses to only a couple of spots of what is a sizable chunk of the island. Anaga is still an area where there’s only one way to get to know it. That’s on foot. Walking is the only way to get from some hamlets in the hills to the coast. And it is quite exhilarating walking. 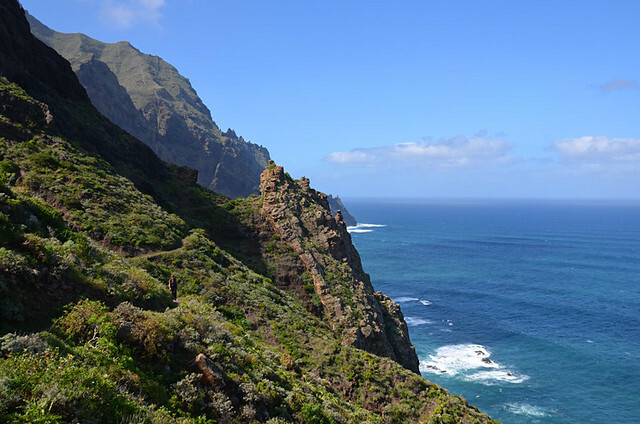 Descending from Afur through a narrow ravine beside a gurgling stream where frogs croakily serenade you to emerge at an empty wild beach is a special experience which reveals a face of Tenerife many don’t know exists.